St George's College players celebrate a goal during their ISSA/Digicel Manning Cup first leg second round fixture against Mona High at the Stadium East field on Wednesday, October 17, 2018. (PHOTO: Marlon Reid). 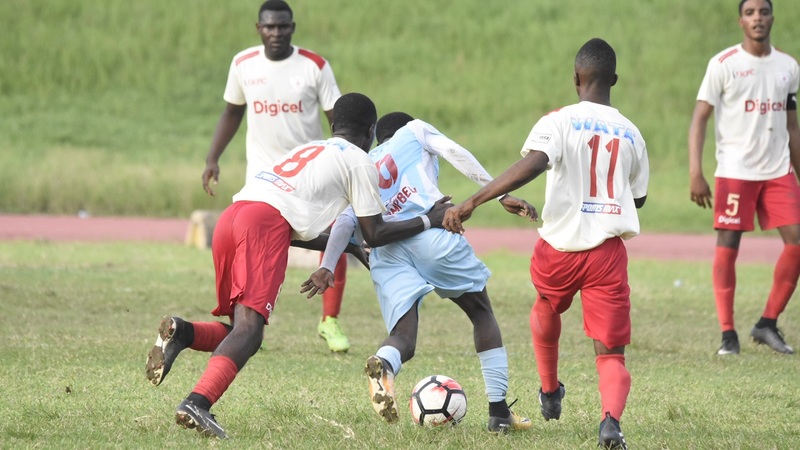 St George's College scored a 4-1 victory against Mona High 4-1 for an impressive start to their two-leg second round fixture of the 2018 ISSA/Digicel Manning Cup competition on Wednesday. The match was the second game of a doubleheader at the Stadium East field as St Catherine High defeated Charlie Smith High 3-1 in the first game. 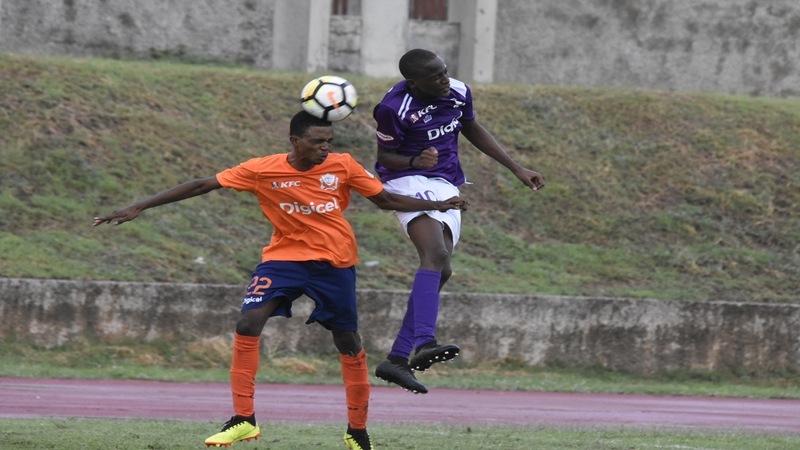 Five-time defending champions Jamaica College (JC) and last season's beaten finalists St Andrew Technical High School (STATHS) also registered first-leg victories. 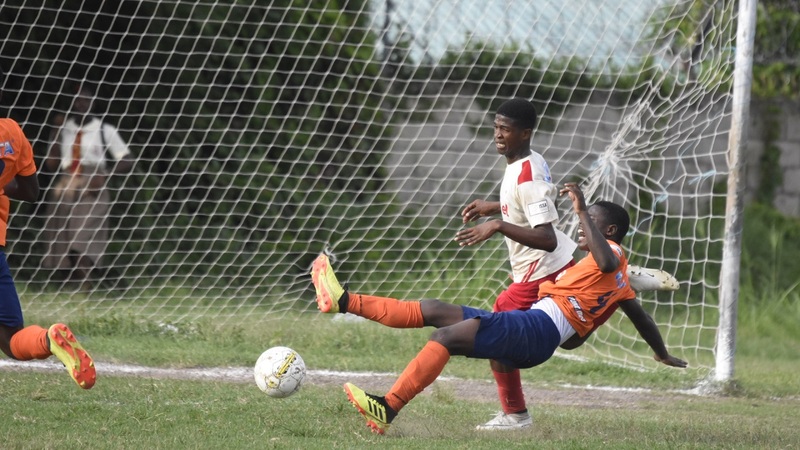 STATHS edged Hydel High 1-0 in the first game at Prison Oval in Spanish Town, while JC defeated Calabar High 3-0 in the second game. Over at the Stadium East field, Emelio Rousseau led 22-time champions St George's College to the victory with a double strike. Rousseau's goals came on the stroke of half time and in the 59th minute from the penalty spot. 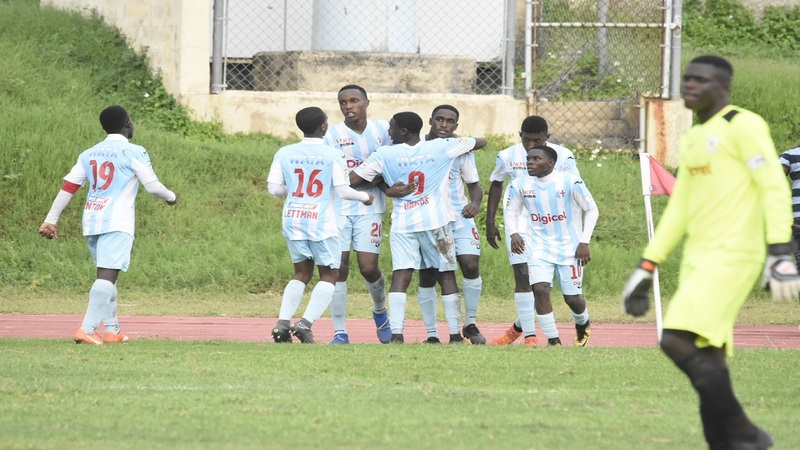 Nathaniel Campbell (12th minute) and Damani Harris (42nd minute) scored the other goals for St George's College, while substitute Dellneil Pinnock scored the consolation goal for Mona in the 74th minute. The first half was mostly played in the Mona half of the field with St George's College calling on goalkeeper Jabez Clechorn to make a number of saves. Clechorn breaches had been broken earlier when Campbell fired past him from inside the area before the goalkeeper committed what could be considered his only error of the match that resulted in the second goal. Clechorn left his line to challenge Harris despite two defenders tackling. Harris got the better of his attackers to lob the advancing Clechorn. St George's College captain Cheva Denton orchestrated the third goal, stringing a number of passes together from midfield that involved switching attack from right to the left. It ended with Rousseau running onto a ball slightly to the left of the area to fire powerfully into the roof of the net,= from an angle. Like they did in the first half, St George's College controlled most of the action in the second period with Clechorn having to save a number of shots. Mona eventually conceded again when Denton provided a through ball for Harris to latch onto inside the area and he was hacked to the ground for the referee to point to the spot and Rousseau converted. Towards the end of the match, Mona made a number of changes and couple with those made by St George's College, started to look threatening. They got their goal when Pinnock benefited from a mix-up inside the area among the St George's College defenders that resulted in a scramble and he managed to hook the ball into the net although being on the ground.